Nothing beats staring up into the starry night, a billion lights staring back at you from the great beyond. The feeling of being so completely and utterly irrelevant, yet at the same time part of something much bigger than yourself. While the photos do speak for themselves, I think we can all agree the Bolivia night sky is one of the most impressive on Earth! 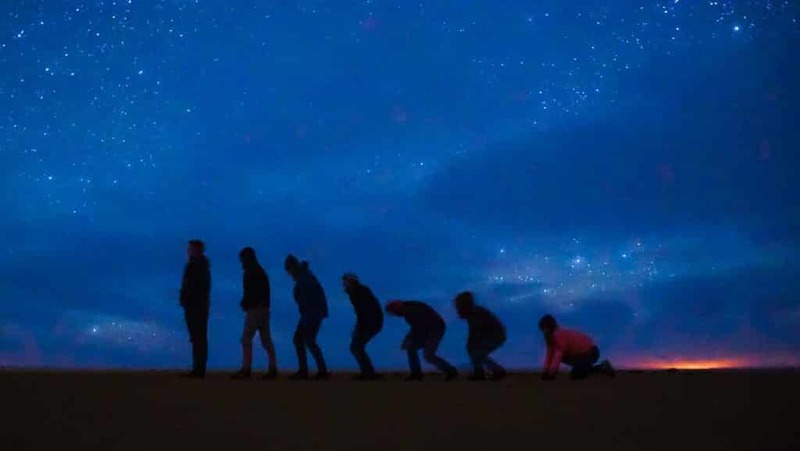 Now to be clear, not every tour company here offers you the opportunity to enjoy a Bolivian Salt Flats Night so you will have to confirm your’s does before you are going – but it will be truly worth it, even if you have to pay a little extra for it. For us traveling up from San Pedro de Atacama we had not seen the Salt Flats yet so it was particularly special to have our first sighting of the Great White expanse under the cover of darkness. 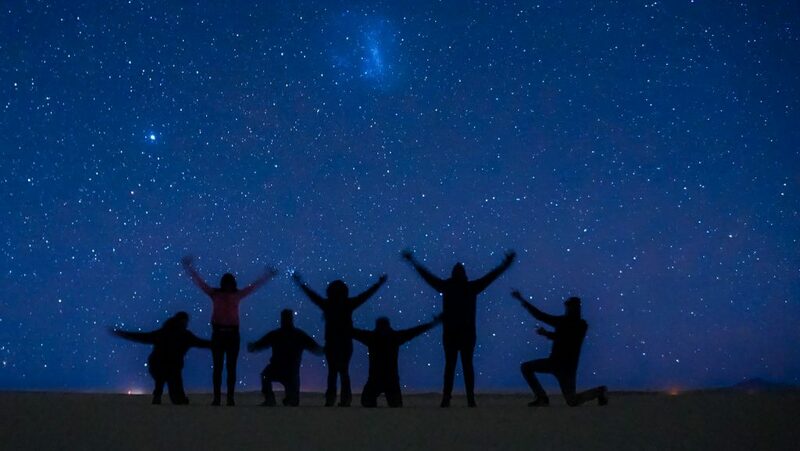 We regretted not being able to go on a Dark Sky tour in San Pedro de Atacama, but were relieved to find the conditions similar on the Bolivian Salt Flats Night – can you imagine it! 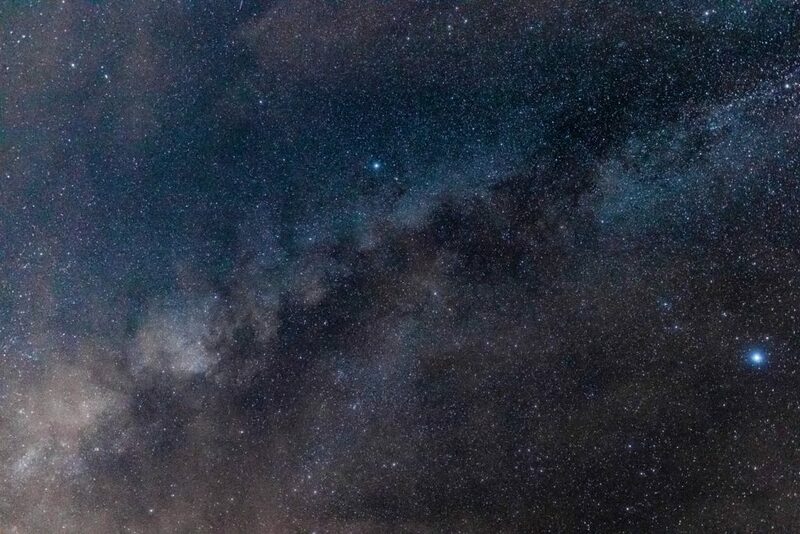 The Milky Way extended in every direction above you, the salt flat extending in every direction below – only barely illuminated by the night sky! 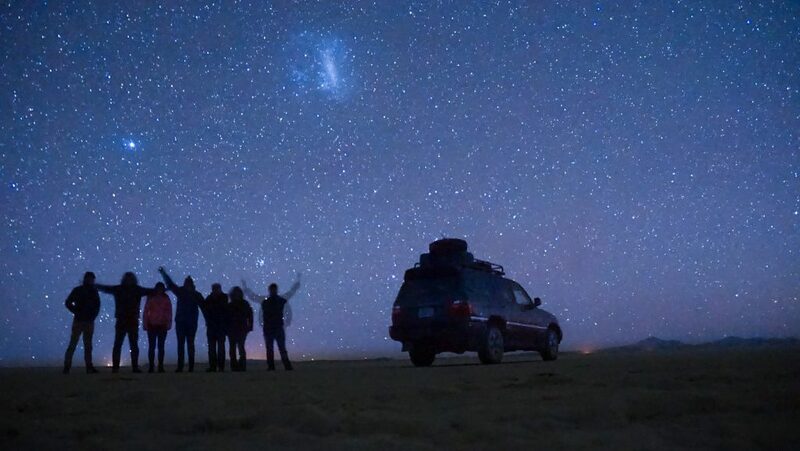 Isn’t the Bolivia night sky one of the most amazing night skies on Earth! Yes, its cold and the wind is harsh, but you will soon forget as you busy yourself trying to find Mars or Jupiter…. I highly recommend downloading a stargazing app for your phone before leaving on your tour! If this isn’t enough you can try some fun shots – All you will need is a tripod, a DSLR camera, and a small torch. As you can see from our examples it was ridiculously fun, rather beautiful and easy to do! To get the best shots of the Bolivian Salt Flats Night you first need to set your DSLR camera on a tripod, set the exposure length to as long as possible (30 seconds +) and turn the ISO right up! Yes, the tripod is 100% imperative as the camera needs to remain absolutely still and be above the ground (or all your photos will be half salt!). Its going to take a few practice shots to get it looking just as you want but once you do you will be good to go and can start to get really creative. I loved our ‘Evolution of Man’ idea – but I’m sure with a bit of pre-planning you can come up with something better! After an hour or so you will likely be chilled to the bone, the euphoric tingle of looking to the heavens will slightly have worn off and you can head back to your salt hotel. If you are doing the tour in the same direction as us, tomorrow is a big day and you can finally see these glorious salt flats in full light – hopefully with sunrise from Isle de la Cactus. There is nothing quite like it…and probably why Salar de Uyuni was used as one of the Star Wars: The Last Jedi filming locations! 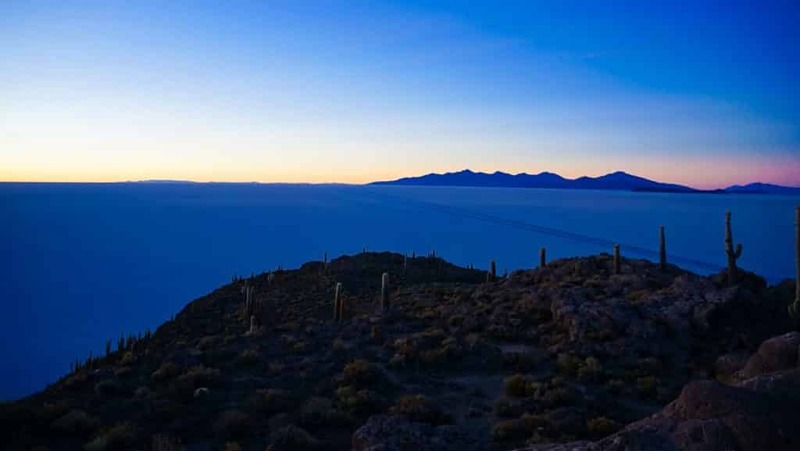 Did you get the chance to experience a Bolivian Salt Flats Night? Let me know your favorite part or post below and give inspiration to others! 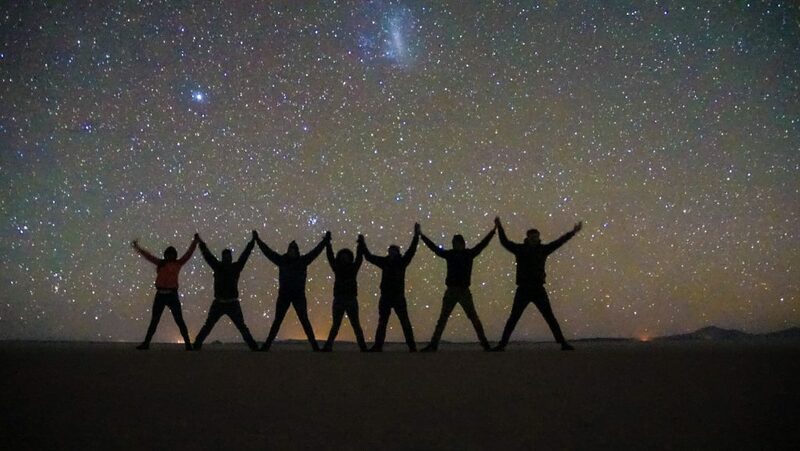 Don’t forget to read the full article on our Uyuni Bolivia Salt Flat Tour Review: Cruz Andina Traveller and once your done looking at the Bolivia Night Sky why not check out Peru Hop / Bolivia Hop Review: Hop-On, Hop-Off Bus Travel for onwards travel options. And don’t forget to check out the best deals on hotels in La Paz, Uyuni or San Pedro de Atacama for before and after your tour! Love these Bolivia salt flats photo ideas? 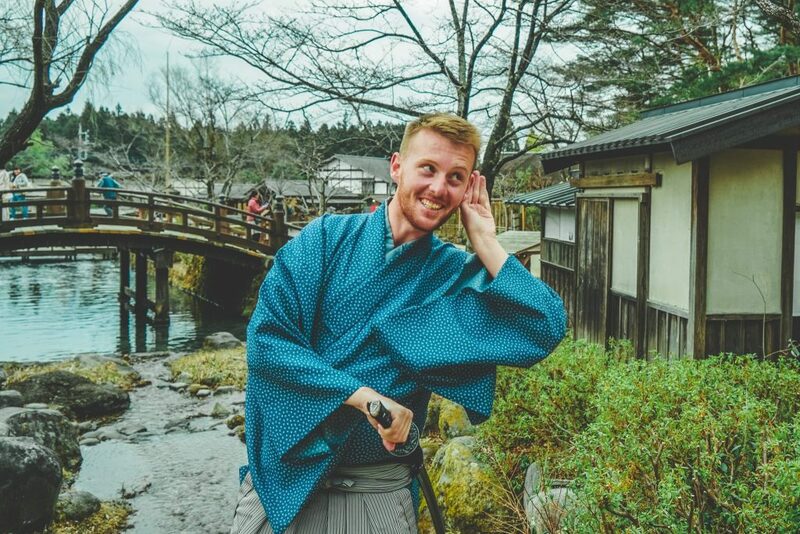 Why not check out some other similar posts!